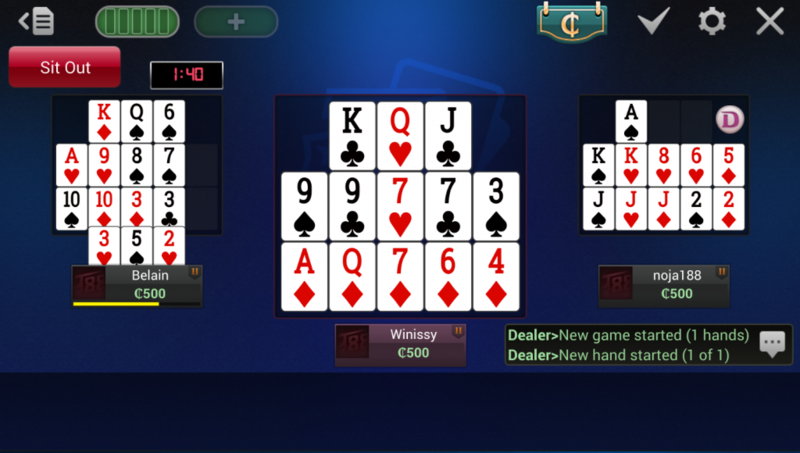 Each player must place 13 cards on the ‘top’, ‘middle’ and ‘bottom’ rows. While Progressive OFC has no betting round, it is scored in points instead. 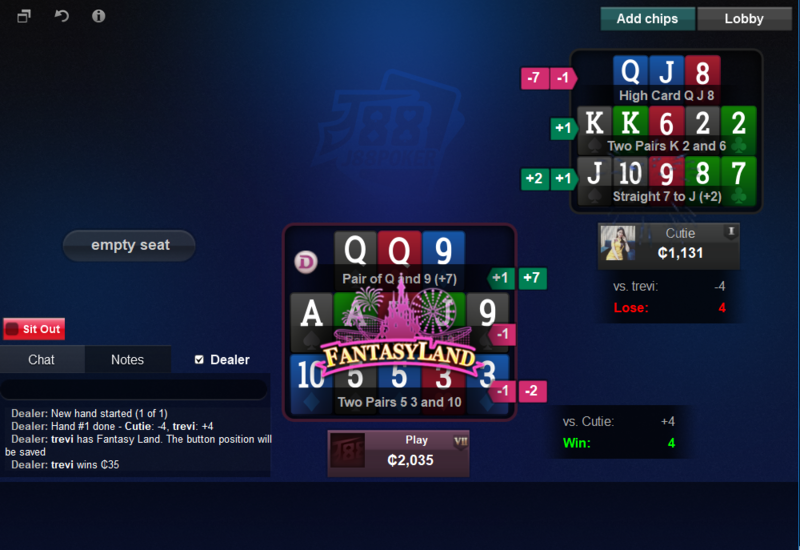 Two to Three players can enjoy Progressive OFC poker in the same table.